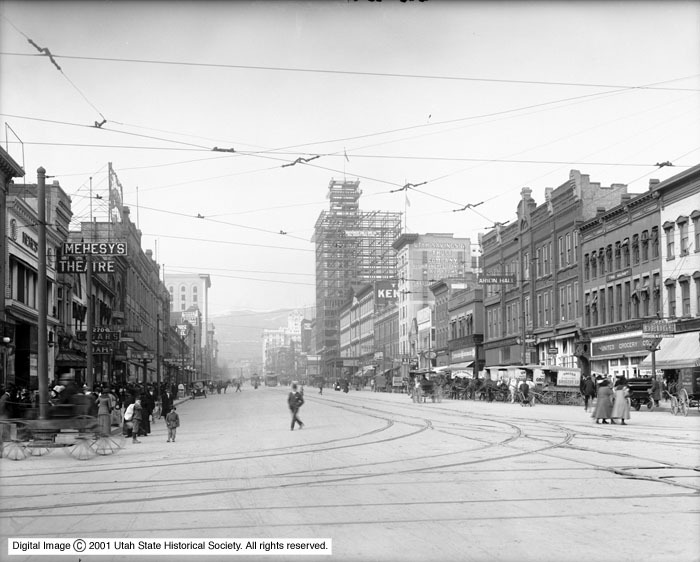 Description Image shows a general view of Main Street, looking north toward the Walker Bank Building construction site. Other businesses and buildings shown in the image include Mehesy's Theatre, the Kearns Building, and the Kenyon Hotel. Comment This image included in both the Shipler and the Classified photograph collections.